It’s almost the end of 2016- can you believe it?! 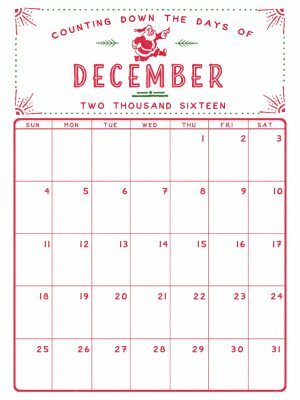 As we all start to wrap up the year, it’s important to keep in mind that, while the end is near, we still have a month to go! I watch a lot of people coast through December, their minds only on January, thinking: “I’ll do ‘it’ next year.” They assume that somehow with the dawn of the New Year, they will magically get the motivation to do whatever “it” is. And while there is something special to starting afresh in a new year, there is nothing magical about getting the motivation to get “it” done. You still must resolve to do. I have previously written about goal setting vs. new years resolutions (click here to read). In this article, there is an observation about how full the gym is in January. But come February and March the normal crowd is all that’s left. This phenomenon happens every single year. So, I encourage you, whether it’s exercising or something else, start “it” now. As business owners, salespeople, mothers, fathers, and simply humans, we need to observe December as the jumping off point to the New Year. What we do and say, act and feel today will undoubtedly impact tomorrow. If we go through the holidays eating everything in sight, while planning to go on a diet in January, we are only setting ourselves up with even more weight to lose and a greater possibility for failure. In the same way, if salespeople stop selling today, their sales numbers will be impacted tomorrow, whether they like it or not. Self-discipline equals results, period. I would encourage you in this way: enjoy the holidays, but don’t just coast or worse, come to a complete stop. Set some goals for December, and instead, gain momentum on your way into the New Year, engaging the self-discipline necessary to achieve those goals. What you do today directly impacts tomorrow. My hope for you is that December is an extremely productive month, both personally and professionally.